Every year, Texas schools are given a grade by the Texas Education Agency. A school starts facing consequences as soon as its first year with a failing rating. And the stakes get higher the longer the school stays on the state’s failing list. A 2015 law allows the state to shut down schools that for five straight years get the “Improvement Required” rating. The state could also take over a school district with a failing school. In this series, “The Race To Save Failing Schools,” KERA is focusing on five North Texas schools — four that have been failing for at least three years and one that was taken off the state’s list after turning things around. Over the next few weeks, we’ll be exploring the effort required to bring a school up to standard and the consequences for failing from the perspectives of students, parents and educators. Stories on each school will be published in weekly installments through the end of May. Note: This series uses data and accountability information through 2016-17, the most recent school year for which complete state information is available. Every year, the Texas Education Agency assigns accountability ratings to schools, indicating whether they meet or fail to meet state standards. The ratings and their criteria have changed over the years, making year-to-year comparisons inexact. In this series, we’re looking at the pass-fail accountability system used from 2012-13 until last school year (2016-17). In this system, schools earn either a “Met Standard” or “Improvement Required” rating. Student achievement measures district and campus performance based on student achievement (test scores) across all subjects for students. Student progress measures progress in English and math by demographic and academic categories, including race and ethnicity, English language proficiency and special education. Closing performance gaps measures academic achievement (test scores) of economically disadvantaged students and the two lowest-performing racial/ethnic student groups, which are determined by the previous year’s assessment. The goal is to raise those groups to levels closer to higher-performing peers. Postsecondary readiness measures the role of elementary and middle schools in preparing students for high school — and the role of high schools in preparing students for college and work. To receive a “Met Standard” rating, districts and campuses must meet targets (which vary by type of campus: elementary, middle, charter, etc.) set in three of the four indexes: Index 1 or Index 2 and both Index 3 and 4. For more details on the state’s accountability system, download Chapters 2 and 3 from the TEA manual. Note: Ratings under the new A-F system will be issued in the fall — read more about that from The Texas Tribune. Many schools featured in this series and across Texas took a turn for the worse in the 2012-13 school year. That was the first year both the new STAAR standardized tests and the four performance indexes were incorporated into the accountability system. Though the tests were actually introduced the previous school year, TEA decided not to assign accountability ratings that year with so many changes. STAAR: The State of Texas Assessments of Academic Readiness program was implemented in 2011-12. The annual tests measure students’ grasp of reading and math in grades 3-8, writing at grades 4 and 7, science at grades 5 and 8, social studies at grade 8 and end-of-course assessments for English I, English II, Algebra I, biology and U.S history. It replaced the Texas Assessments of Knowledge and Skills (TAKS). More information here. There are consequences if a school earns the failing grade year after year. House Bill 1842, which passed during the 2015 Texas legislative session, allows the state to strip districts of their authority if they cannot improve their struggling schools. The law created a new reform process, outlining steps for school districts to take. The action required of the district becomes more intensive each year a campus remains on the state’s failing list. “It says that when you make five years [“Improvement Required”], the [TEA] commissioner has to either close you or put a board of managers in over the district,” the TEA’s DeEtta Culbertson told KERA. However, some schools have stayed on the list longer than five years. This can happen for a variety of reasons, including a reprieve due to a change in TEA’s accountability criteria. “When this legislation came out, we kind of had to phase it in, so that’s why you’re seeing some of the schools with six and seven years of [Improvement Required] status,” Culbertson said. This map shows all North Texas schools that have been on the TEA’s failing list for at least three years. 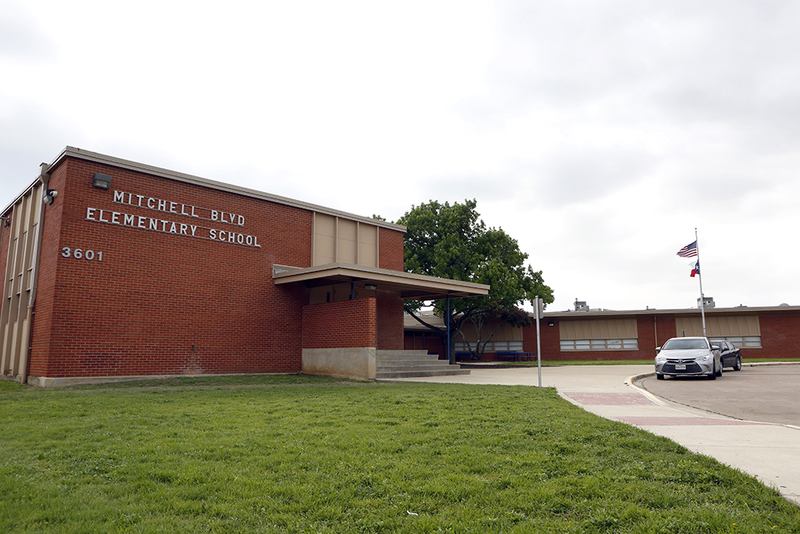 We’re focusing on four: John T. White and Mitchell Boulevard elementaries in Fort Worth, Edison Middle Learning Center in Dallas and Wimbish Elementary in Arlington. We’re also looking at Dallas’ Pinkston High School, which is no longer on the list. Posted in Advocacy, Education Budget, Failing Schools, School Choice, School Closings, Students and Parents Protest and tagged "Standing Strong for Public Education", #iBelieve, Accountability, Accountability System, Advocacy, Department of Education, Diversity, Education, Education Funding, Equity, Every Student Succeeds Act (ESSA), Failing, Failing Schools, Federal Education Policy, High-Needs Students, NEAExecutiveCommittee, Public Education, School Choice, State Budget, Students. Bookmark the permalink.